WASHINGTON, D.C. — Leave it to Bradley Wright-Phillips to save the Red Bulls again — in spectacular fashion. 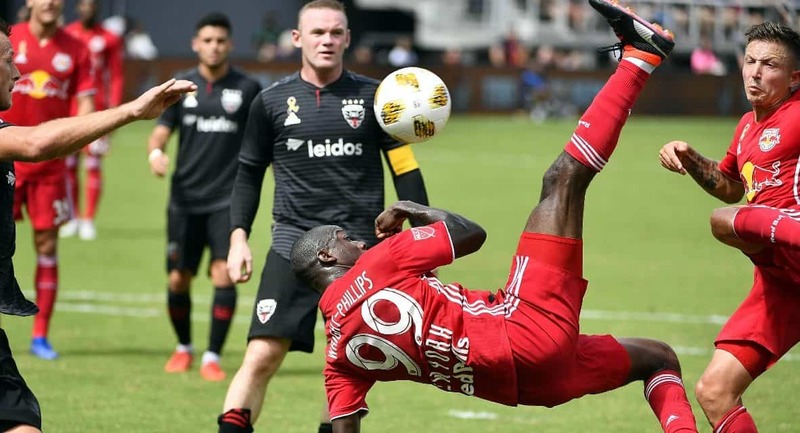 After scoring on a bicycle earlier in the game, the English striker connected for the equalizing goal in the 90th minute to boost the Red Bulls into a 3-3 draw with D.C. United at Audi Field Sunday afternoon. That 11th-hour score was BWP’s third goal of the match, although his one-man show wasn’t enough to keep the Red Bulls (`7-7-5, 56) in the Eastern Conference lead. Atlanta United (17-5-6, 57), which has a game in hand on New York, is enjoys a one-point advantage in the Supporters Shield race. United moved to 9-11-8, which didn’t help the team’s playoff quest as much as a three-point win. Due to the Red Bulls’ defensive lapses, Wright-Phillips was forced to knot things up every time. The hosts and New York traded goals in the first half as Paul Arriola tallied in the 25th minute before Wright-Phillips recorded his initial equalizer in the 41st minute via a bicycle kick. Early on the in second half, Junior Moreno connected with Wayne Rooney for the goal-ahead goal in the 64th minute. Wright-Phillips completed his brace in the 76th minute off a Michael Amir Murillo pass. D.C.’s Luciano Acosta put United up one as he danced to the end line and beat Robles to the near post in the 87th minute. For the third and final time, Wright-Philips brought his team even in the 90th minute as Alex Muyl sent a cross in and the English striker volleyed in his hat-trick to the near post. 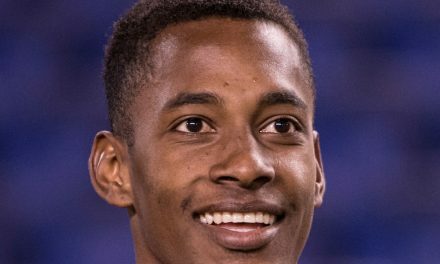 He became BWP became only the second player in league history to record three game-tying goals in a match. Earlier this summer, Wright-Phillips scored his 100th MLS career goal at United. For the record, Wright-Philips moved into a three-way tie with Stern John and Diego Serna for second-place all-time in hat tricks with his fifth. 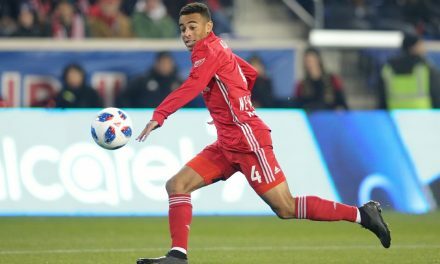 His hat-trick raised his season total to 19 goals, placing him second in MLS behind Atlanta’s Josef Martinez. 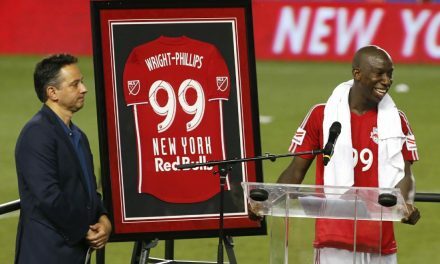 Wright-Phillips also moved into eighth place all-time in MLS with 105 league goals.